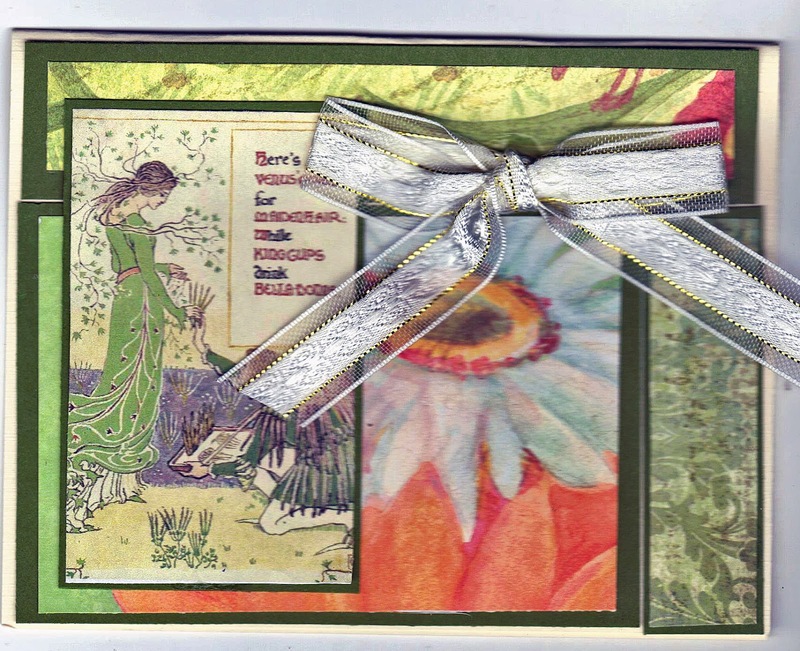 Here is another "Victorian Spring" creation by Vicki Romaine for you to enjoy. She also uses this for her "Use Three Different Designer Papers" challenge over at her blog The Cheerful Stamp Pad. I love all the spring green shades in this card, contrasting with the cheerful orange and finally accented by the pale silver ribbon and daisy petals!